What are Scripts in Unity? 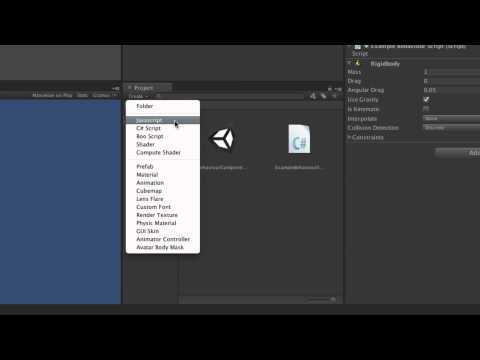 Learn about the behaviour component that is a Unity script, and how to Create and Attach them to objects. We also have added an examples script. default material attached to that object. the colour gets changed to red. it gets changed to blue. we're referring to this particular item. finally the colour of that material. which is part of the colour class. keys on the keyboard I can change the colour. and setting it to a certain value in here. doing it by hand in the editor. a language of your choice. This can then be created and added in one step. it's not as commonly used as the other two.